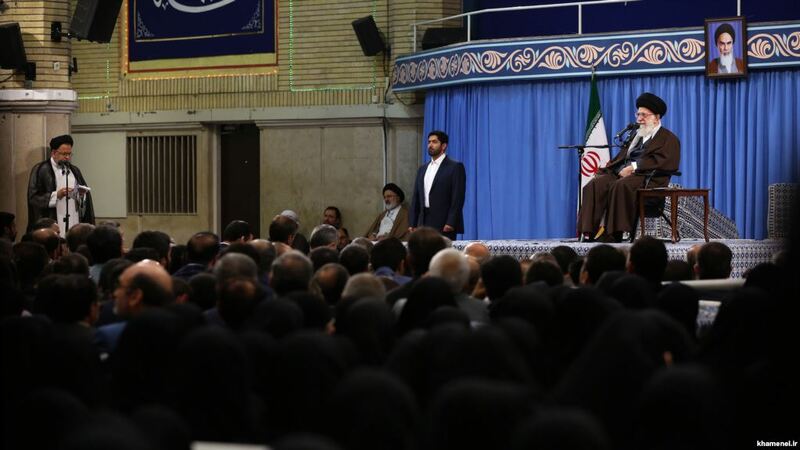 Iran’s Supreme Leader has blamed the country’s historic currency crisis on foreign powers, calling for an “intelligence war” against them. Commenting after the slide of the rial to 61,000:1 v. the US dollar, with a 25% loss in recent weeks, Ayatollah Khamenei said, “The footprints of foreigners and their intelligence services was obvious in the recent chaos in Iran’s currency market.” He also blamed outside powers for manipulation of public opinion, economic difficulties, stealing of secrets through cyber-attacks, and protests such as demonstrations across the Islamic Republic in January. We should stand against this war and the plots of the enemy's front. Besides defending, we should have offensive plans against the enemy, too, so that our intelligence services will take hold of the game. Earlier this year the rial broke its all-time low, set in 2011-12 amid tightening international sanctions, of 45,000:1 v. the dollar. Government measures such as the raising of interest rates and arrests of unofficial currency dealers failed to halt the slide. Last week the Government declared a unification of official and open-market rates, raising the former from 37,000:1 to 42,000:1. But the move has only closed many exchange offices, unable to hold and sell foreign currencies at the new rate, and led to long lines at the few official exchange outlets that are still dispensing small amounts of dollars, Euros, and other money. On Wednesday, Iran confirmed that it will switch from the dollar to the Euro as the official reporting currency. The step will increase transaction costs for Tehran, but the Government is hoping that it will encourage foreign companies to bypass US sanctions and renew trade and investment links with the Islamic Republic. The currency crisis stems from long-standing difficulties around production and mismanagement, but it has been spurred by fears about a US withdrawal from the July 2015 nuclear agreement, which would bring even wider American sanctions. PreviousCan “Citizens UK” Bring Effective Social Change in the Community?